includes an overarching map of the current Phylloxera Management Zones across Australia and maps for individual Phylloxera Infested Zones (PIZ) and Phylloxera Exclusion Zones (PEZ). To view these maps click here. includes maps by wine region and subregion across South Australia. To view these maps click here. includes a range of web-enabled reports by wine region, grape variety and rootstock across South Australia, as well as a Phylloxera Management Zone report, highlighting the current Phylloxera Management Zone(s) in each GI region in Australia. 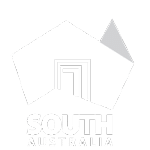 includes maps of current and historic fire events in South Australia. To view these maps click here.